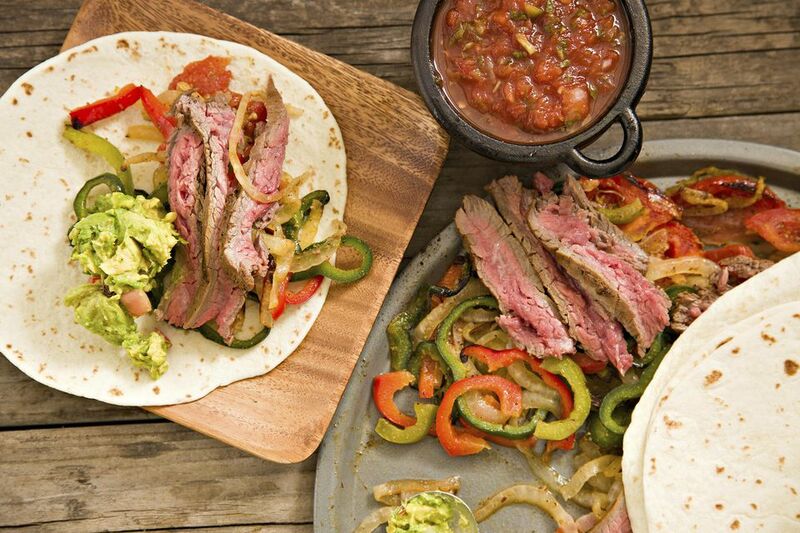 This is a great, simple recipe for fantastic fajitas. While it might not be purely authentic it still makes a great meal. Top off your fajitas with your favorite toppings, like sour cream and guacamole. Mix lime juice, garlic, vinegar, black pepper, chili powder, cumin, cayenne and salt in a large bowl. Add steak strips, cover with plastic wrap, and let marinate in the refrigerator for 1-4 hours. Preheat grill for a medium high to high heat. Put a couple of drops of water on each tortilla and wrap all together in aluminum foil. Place on a cooler part of the grill and turning once during cooking. Place meat in the grilling basket on high heat. Reduce heat (move farther from coals if using charcoal) and add bell peppers and onion. Cook until meat is done to liking and peppers are starting to soften. Remove from grill, slice, top with cilantro, and serve with sour cream and guacamole on tortillas.